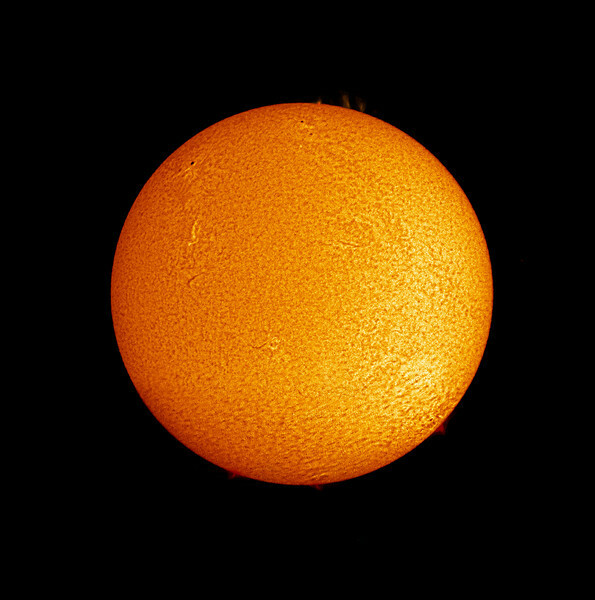 The Sun (my first time use of this equipment) through a new Lunt 80mm solar telescope using an color camera with larger CCD chip. This is a mosaic (two shots blended together) since the full sun does not fit into the field of view of the camera/scope combination. The Sun is relatively calm here, but is expected over the next 5-7 years to show more surface activity as it comes out of a quiet period that has extended for 7 years.